Sylvester Stallone has taken to social media to prove he’s still alive after the Rocky star was the victim of a gross death hoax. The Hollywood star shared a picture on Instagram of himself ‘sparring’ with champion boxer Sergey ‘Krusher’ Kovzalev but didn’t address the sick rumours of his demise, the Mirror reports. 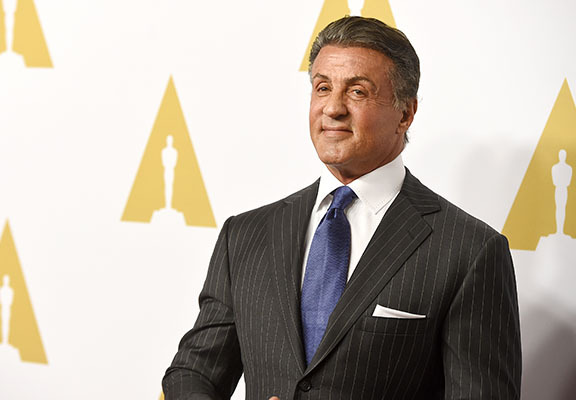 Fans of the iconic action star were shocked over the weekend when cruel rumours of Stallone’s death began to do the rounds on social media after a fake news story, allegedly from U.S. news site CNN, appeared on Facebook. The fake news story claimed that the 70-year-old Rocky star had died of a pill overdose. Someone confirm or deny if Sylvester Stallone is dead. I refuse to believe what I saw. Thankfully, Stallone is alive and well and has been active on his social media accounts – on Friday he shared a selfie of his daughter Sophia as they ate a meal together. Only last month, Jayden Smith was the victim of a similar hoax after a ‘video’ was uploaded to Facebook allegedly showing the After Earth star saying goodbye to his dad before supposedly committing suicide. Jayden is also thankfully alive and well.